One of the most cherished stories of all time, To Kill a Mockingbird has been translated into more than forty languages, sold more than forty million copies worldwide, served as the basis for an enormously popular motion picture, and was voted one of the best novels of the twentieth century by librarians across the country. A gripping, heart-wrenching, and wholly remarkable tale of coming-of-age in a South poisoned by virulent prejudice, it views a world of great beauty and savage inequities through the eyes of a young girl, as her father - a crusading local lawyer - risks everything to defend a black man unjustly accused of a terrible crime. 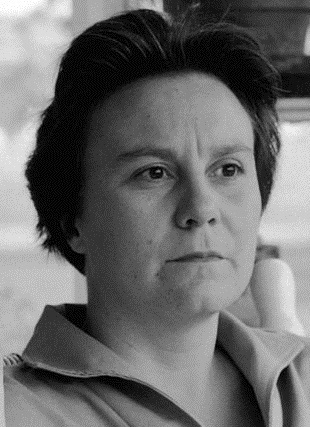 Harper Lee, known as Nelle, was born in the Alabama town of Monroeville, the youngest of four children of Amasa Coleman Lee and Frances Cunningham Finch Lee. Her father, a former newspaper editor and proprietor, was a lawyer who served on the state legislature from 1926 to 1938. As a child, Lee was a tomboy and a precocious reader, and enjoyed the friendship of her schoolmate and neighbor, the young Truman Capote. After graduating from high school in Monroeville, Lee enrolled at the all-female Huntingdon College in Montgomery (1944-45) , and then pursued a law degree at the University of Alabama (1945-50) , pledging the Chi Omega sorority. While there, she wrote for several student publications and spent a year as editor of the campus humor magazine, "Ramma-Jamma". Though she did not complete the law degree, she studied for a summer in Oxford, England, before moving to New York in 1950, where she worked as a reservation clerk with Eastern Air Lines and BOAC. Lee continued as a reservation clerk until the late 50s, when she devoted herself to writing. She lived a frugal life, traveling between her cold-water-only apartment in New York to her family home in Alabama to care for her father. Having written several long stories, Harper Lee located an agent in November 1956. The following month at the East 50th townhouse of her friends Michael Brown and Joy Williams Brown, she received a gift of a year's wages with a note: "You have one year off from your job to write whatever you please. Merry Christmas. " Within a year, she had a first draft. Working with J. B. Lippincott & Co. editor Tay Hohoff, she completed in the summer of 1959. Published July 11, 1960, the novel was an immediate bestseller and won great critical acclaim, including the Pulitzer Prize for Fiction in 1961. It remains a bestseller with more than 30 million copies in print. In 1999, it was voted "Best Novel of the Century" in a poll by the Library Journal.